The Diversity Center of Northeast Ohio advances diversity, challenges assumptions and advocates for understanding through education and training. Founded in 1927 as the National Conference of Christians and Jews, the Diversity Center is currently part of the National Federation for Just Communities, a network of twenty regions across the country. Walk, Rock & Run unifies communities across Northeast Ohio while raising awareness of diversity issues. Proceeds directly support The Diversity Center's in-school programming in nine Northeast Ohio counties. Over 25,000 students in 150 schools learn how to become leaders and positive change agents in their schools. 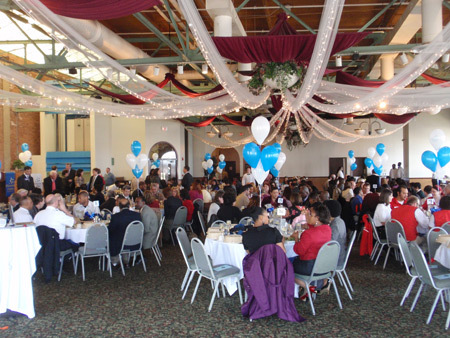 On Friday, March 12, 2010 the kickoff to the fun fundraiser was held at Windows on the River. 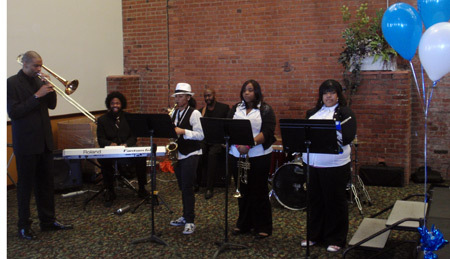 After a terrific performance by the Cleveland City Schools Jazz Band, details of the annual event were given to the crowd. The 3 mile walk and 5k run both begin and end at the Rock & Roll Hall of Fame and Museum. All participants gain free entry into The Rock and Roll Hall of Fame and Museum, House of Blues, Great Lakes Science Center, and The Baseball Heritage Museum on the day of the event. 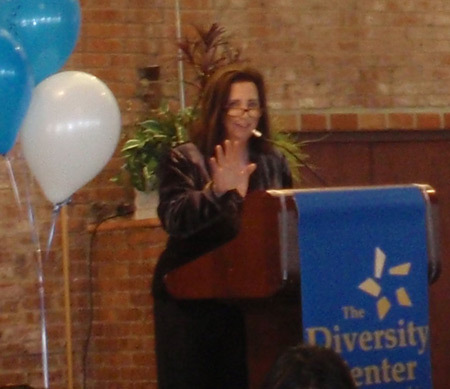 Watch Peggy Zone Fisher, president and CEO of the Diversity Center of Northeast Ohio, to learn more. For more information, including sign up sheets, visit WALK, ROCK & RUN. Copyright � 2004-2010 ClevelandWomen.Com. All Rights Reserved.